The Three Grapes: Pinot Noir and Pinot Meunier are the two dark-skinned grapes that form the majority of the vines planted in the Champagne region of France with the final grape varietal being white ‘Light skinned’ Chardonnay. These three grapes come together as a blend to produce some of the world greatest and most expensive wines. Underneath those dark skins, the Pinot Noir and Pinot Meunier grapes contain a pale juice which, when pressed, turns out a very similar colour to Chardonnay. However, when making Rosé you need the pigmentation from the Pinot Noir & Pinot Meunier to add flavour and colour. This is made through a wine making method called ‘Bleeding’. You draw some of the juice away from the tank so the remaining Champagne has a higher ratio of skin in contact to the quantity of juice. This then delivers a higher intensity of flavour and, of course, its bright blush colour. Rosé Champagne is extremely versatile when it comes to food pairing. The typical flavour profile which you get from a Rosé Champagne naturally attracts itself to richer flavours. Rosé Champagne is more complex and time consuming to make than standard Champagne, this extra cost to the producer naturally has to fall onto the consumer. This partnered with the benefit of a wide diversity when it comes to food pairing means generally speaking Rosé will demand a premium over Blanc de Blanc and standard ‘white’ Champagne. 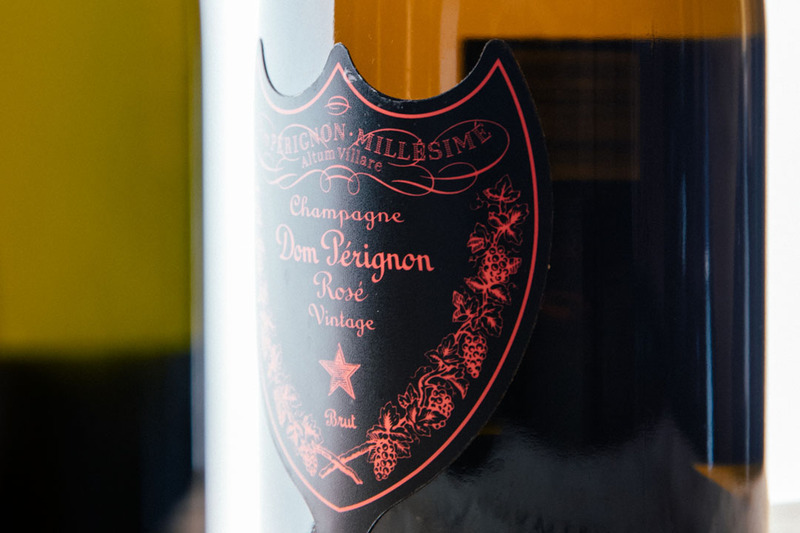 We are currently particularly interested in buying Rosé Champagne from the following producers – Dom Perignon, Krug, Cristal, Armand de Brignac (Ace of Spaces), Taittinger, Ruinart and Bollinger.